Monday June 11, 2012. I wonder if the whales have territorial agreements? 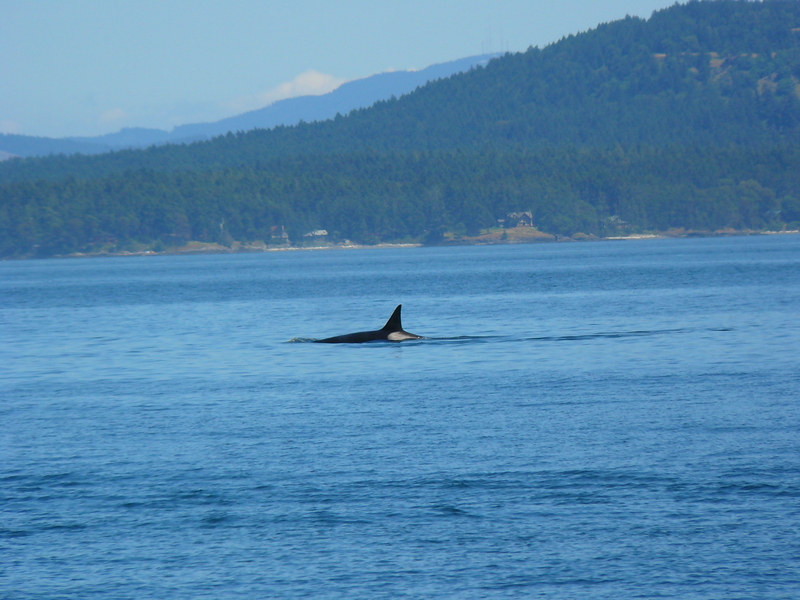 We don’t often sight the different ecotypes of Orcas-Killer Whales in the same area, at the same time. Since Balcomb’s Orcas were out of our range, I wasn’t surprised to hear Bigg’s Transient Killer Whales were by the D’Arcy Islands at Vancouver Island, Canada. We went for the international tour! T-020, a 49 year old male was with his 44 year old sister, T-021. They were quiet and traveling slowly, appearing to be resting at times, with the 2.5’ flooding tide. We did see a Harbor Seal in the area, and very few Harbor Porpoise, but no obvious meals consumed. These whales have managed to share their entire long lives, at times surfacing together, shoulder to shoulder, a beautiful sight! 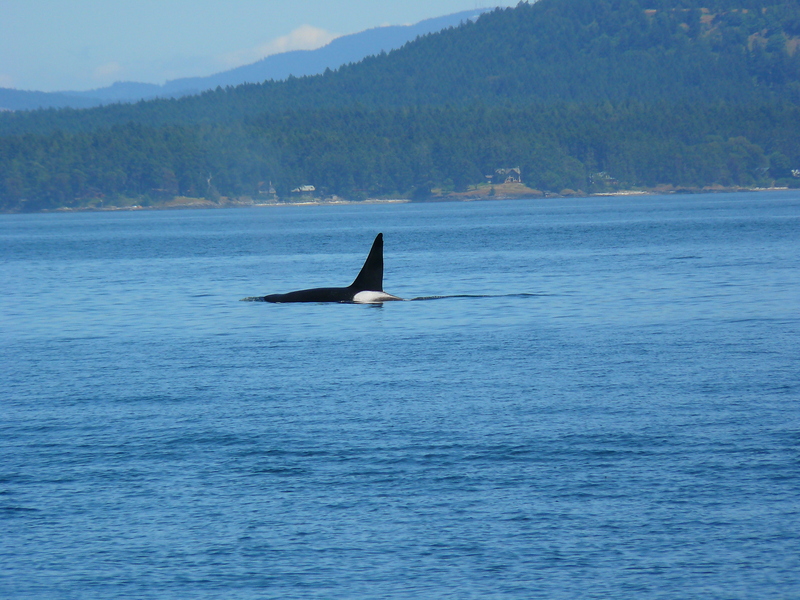 « Whales back in the Salish Sea!